Consistent with our commitment to superior quality and craftsmanship, McClurg is the exclusive certified installer of Andersen windows and doors in Syracuse, NY. Choosing the right installer is one of the most important aspects of your window purchase. A proper installation is critical to the performance of the Andersen product. 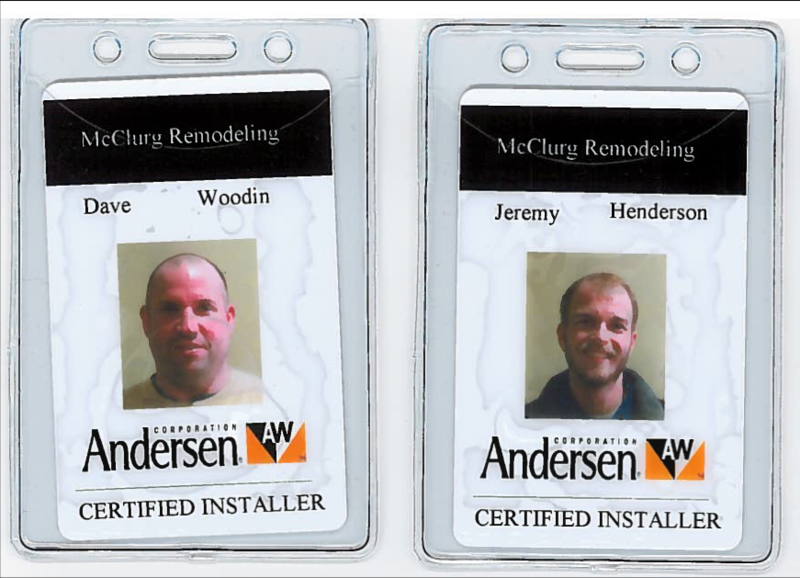 By participating in the Andersen Certified Installer Program, McClurg has the tools and training in place to provide you the confidence that your windows and patio doors will be properly installed. Learn more by visiting the Andersen Certified Installer website, or call us (315) 673-2051 to set up a free consultation regarding your window and door needs. Our carpenters have been specifically trained and certified to install Andersen® windows and patio doors. McClurg invested in the training of our employees, and was able to experience rigorous hands-on training at Andersen headquarters to become certified. Our team receives ongoing product information and support from Andersen. McClurg has access to Andersen Certified Installer Concierge Services which provides our team with personal support through help-desk representatives and on-line tools and resources. As an Andersen Certified Installer, we stand behind our work, and Andersen stands behind us.